Let’s be frank: the underlings of the Mushroom Kingdom are fairly sucktacular. When your enemies consist of Goombas and Koopas, you’re not in any kind of darn trouble at all. You’re hardly in rapper in constant danger of being ‘popped’ in ‘da hood’ territory, right here. Goombas don’t even have any arms, and they look to be about a foot tall. It’s safe to say you won’t need a bulletproof Popemobile. Still, let’s curtail this snark, because the Koopas at least can get serious when they want to. 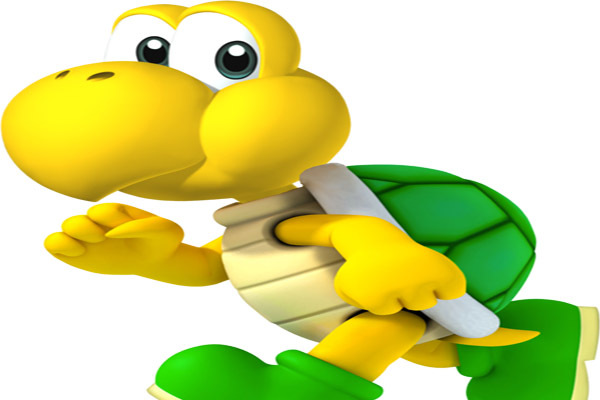 The charming turtle dudes go by the rather funky name of Nokonoko in Japan, and are sometimes known as Koopa Troopas (probably because Nintendo’s pun department cannot and will not be stopped). They’re based on the legendary water spirit kappa, and have been lurking about the Mario franchise since 1983. Sometimes, they even ride Y… wait, what? They first appeared in Mario Bros. Here, they weren’t the anthropomorphic boot-wearing funsters they would become, but they’re just about recognisable. You’d bump the platform beneath them to make them retreat into their shells, then proceed to throw them at other enemies/players. The very essence of Koopaness was right there from the start. Which is just what makes them so terrifying. Hold on to your pants, because turtle terror is coming. Yep, as we know, Koopas generally just cruise about with a shirt-drooling-simpleton grin on their faces. 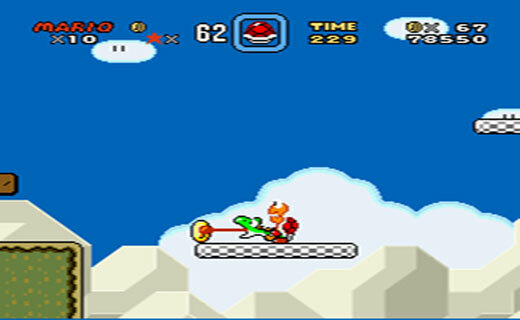 In more recent games, they even bop along to the tune of the background music. But then you jump on their heads (Mario’s murder methods 101), and the trouble begins. How many of us have inadvertently lost a life when our own thrown shell collides with our faces? All of us, that’s who. And therein lies the true evil of the Koopas. They shuffle about harmlessly enough, but they know that you can’t resist jumping on their heads and throwing their shells about. An unfortunate ricochet will be your downfall. The sly buggers. But they’ve also evolved a little beyond this. Look out for Paratroopas, Hammer Bros. and more.